Football club Partizan Belgrade football club which was founded in the 4th October 1945th as part of the Yugoslav Sports Association Partizan. Today, the Sports 25 clubs in as many sports, is a member and on and Football Club, has complete independence in the organization, management, finance, material resources and facilities. With Soccer Club for several companies as a part of the business system Partizan. FK Partizan, with their fiercest rivals, Red Star, is the most important Serbian team and a team that, in recent years, Serbia maintains the UEFA rankings of European League competitions near a position that allows two representatives in the Champions League. 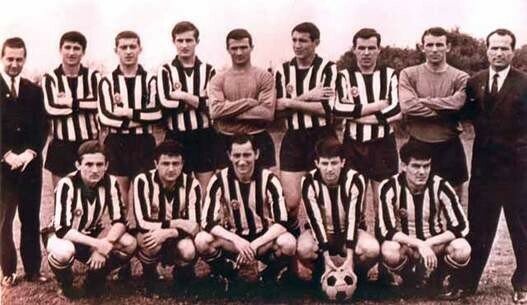 The 1966th Partizan was vice champion of Europe in 1978. Central European Cup winner. Momcilo Vukotic recorder Partizan most games played - played 752 games, a record in the number of goals scored in "black and white" is Stjepan Bobek with 403 hits. 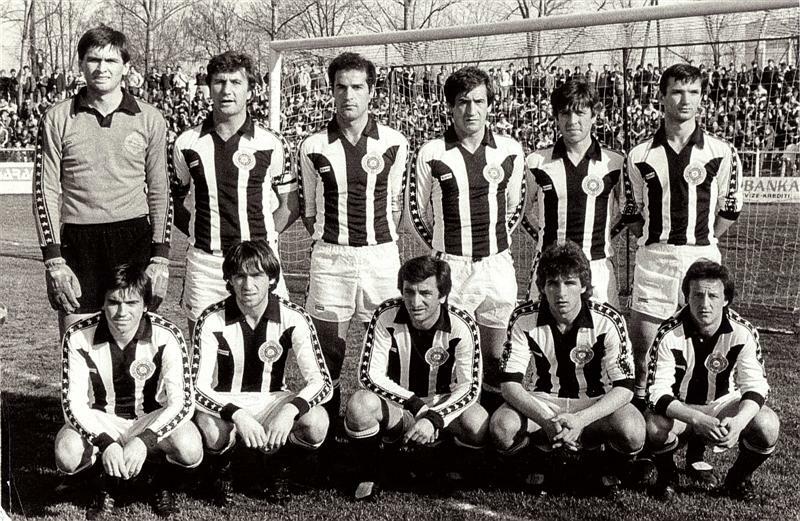 For the Yugoslav national team performed over 130 Partizan football players, and more than fifty games played Bobek, Zebec, Čaikovsky, Jusufi, Galic Soskic, Jokanović, Mijatovic and Milosevic. Partizan cherishing game that cost experts and viewers around the world, so it is a very welcome guest of the first neighborhoods to the stadiums of South America. Based on this game seems ready to rally, which is based on individual values ​​and organization of, mastery that eludes every trap and force. It Partizan school football favors and efficiency. Black and white are the current league competitions achieved six wins from ten or more goals given in the two championships achieved by more than a hundred goals and keep a record of the Yugoslav First League with 111 hits in a single championship. Football club Partizan 24 times a champion: 1947, 1949, 1961, 1962, 1963, 1965, 1976, 1978, 1983, 1986, 1987, 1993, 1994, 1996, 1997, 1999, 2002, 2003, 2005, 2008, 2009, 2010, 2011, 2012.2013. National Cup champion was 12 times: 1947, 1952, 1954, 1957, 1989, 1992, 1994, 1998, 2001, 2008, 2009, 2011. Saša Ilić, Boba Mihajlović, Predrag Mijatović, Dragan Mance in - Ivan Golac, Milan Damjanović, Jovan Miladinović, Zvezdan Čebinac out. Vasović played for Partizan always in midfield, never in defence. I saw that ideal team discussions on facebook, IMO Mijatović and Mance are just fanboys wish. Mijatović played for the club as a kid, his peak was in Spain. Mance was a joke of player, his quality wasn't even for the 5th All Stars team of Partizan. It's a shame there's no Vladica Kovačević in that team, he was imo even better than Bobek and all the other offensive players in that team..
Mance was a talented youngster, and besides that an idol of Partizan's South. But he had a tragic fate to die when he was only a 23 year old, and he never reached the heights that many football experts predicted. All players that I suggested have a legendary status in Partizan. I based my suggestions on that. As for Mijat,ha wasn't really a kid, but in comparison with Vladica,he achieved less in the club. So you can put him instead of Mijatović on the left wing and that would conclude first 11. Btw, next set which I plan to post is Vladica's.